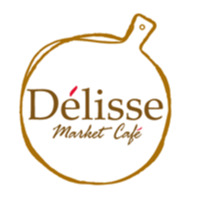 Delisse Cafe joined our Mission to help provide access to “Clean Water for All by 2030”. This Mission was initiated by the United Nations. A big thank you to Delisse Cafe’s team and customers for joining this extremely important mission on 01 March 2018. I decided to create Delisse a few years ago when, as a CBD worker recently relocated from France, I realized how hard it was to find an affordable and indulgent place for lunch, serving fresh and tasty food, in the CBD. During the weekend, I could access a great range of fantastic products, but during the week around my office, I could not find anything. I developed a concept where excellent food could be offered to office workers by creating Chef recipes prepared with the best ingredients in each category (bread, pastries, coffee, cheeses, charcuterie etc…) – exactly the type of products you would find in a French food market. Delisse is a tribute to the cuisines from southern Europe countries. The name comes from the French city I grew up in, Rennes, which is renowned for hosting one of the best food markets in France called “Le Marche des Lices”. In a nutshell, Delisse is the result of a marriage of an authentic French food market and a trendy Australian cafe.